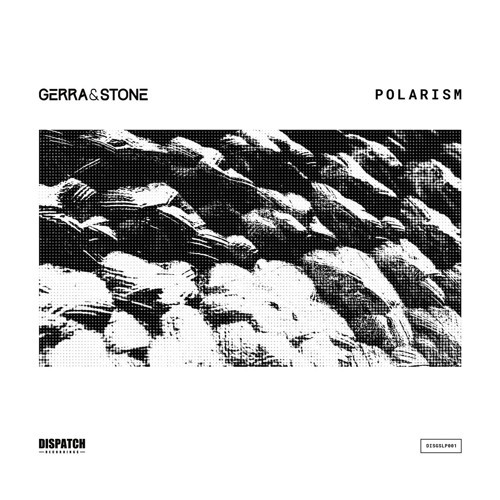 It’s safe to say that Gerra & Stone are not new kids on the block. With releases on ProgRAM, Dispatch, Proximity and more, they have been mastering their craft for several years. After this period of gestation and incubation, the boys are dropping possibly their best work to date for Dispatch in the form of the Polarism LP. With interludes and intros punctuating throughout, fans of all the rightly or wrongly noted sub-genres will have plenty to take from this LP. Tracks like Time Not Wasted, The Fourth State, and Preditor (among plenty of others) represent the harder sound that this duo is well known for. That said, pieces such as On the Outside and In Disguise (featuring the elegant voice of Peta Oneir – my personal favourite) reflect a more liquid sound that Gerra & Stone are less known for, but nevertheless have a back catalogue speckled with. Finally, there are tracks that blend both styles. Repeat Process has smacks of Halogenix in its synth sections, while Take Me Home has more rhythm and groove to it than efforts of yesteryear. Clearly the well balanced styles are testament to this pair’s acumen. There is something for everyone here, which represents a change to Dispatch’s more usual techy output. What we can be certain of is the beginning of a changing of the guard in D&B, as once emerging talents begin to take centre stage. I for one am excited at that prospect.